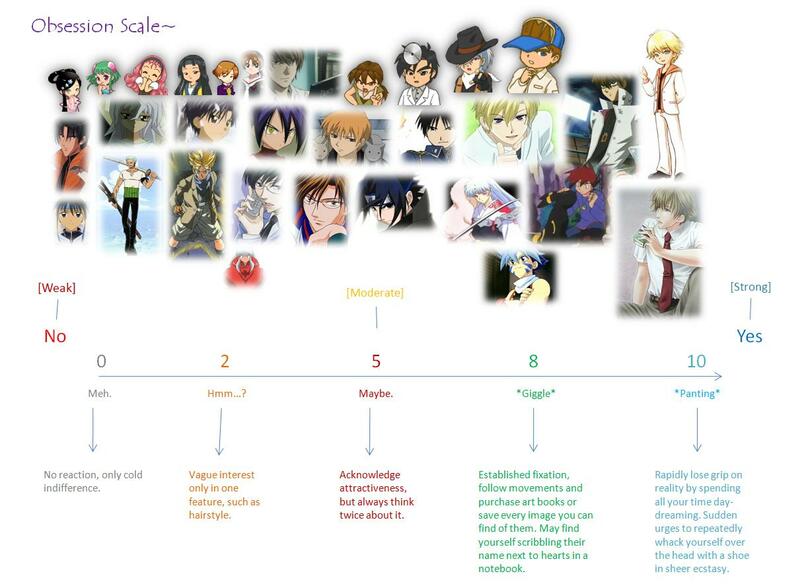 And now, I present to you a handy dandy scale measuring anime character obsession magnitude. 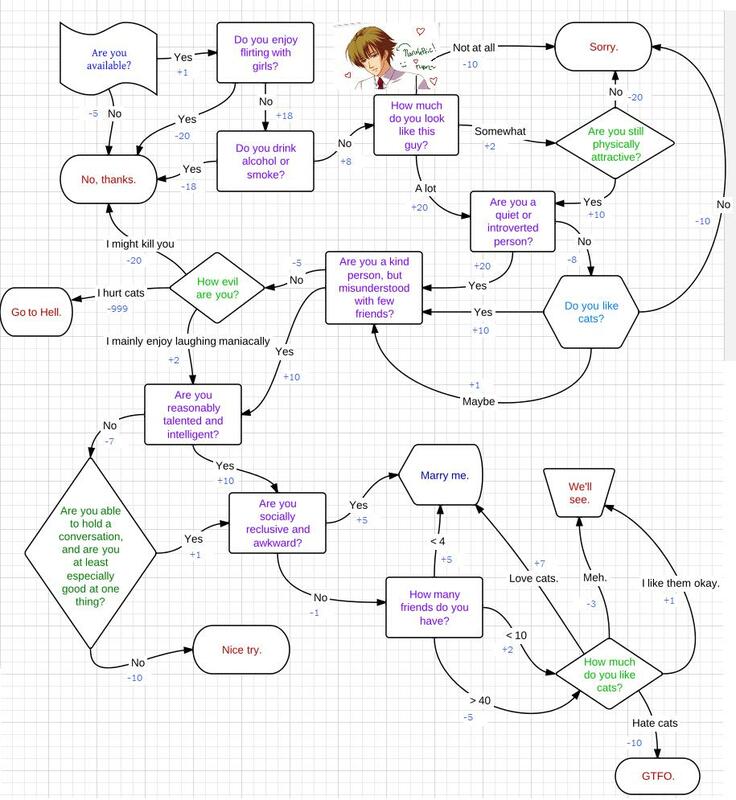 Use it wisely along with your own personalised flowchart. Am I insane for being obsessed with an anime character? Why am I more focused on this anime character over real people? Because fictional characters are specifically created without any major flaws, in the hope that you will go out and buy their merchandise. No human in reality is going to be able to compete against a well developed fictional character, particularly in appearance. This is especially true if you are playing an otome game, where it is automatically assumed that you are both physically attractive and are capable of winning over anyone that catches your eye. 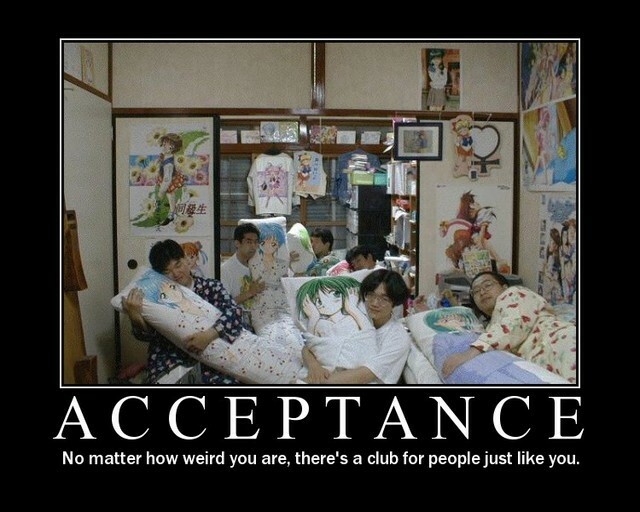 Chances are you haven’t met any real people who even come close anyway, so in that sense you are justified. How does it begin and stop? That depends on many factors. Generally the longer the anime series runs, the more exposure you will have to a character, and the higher the chances are of developing an obsession. Similarly, a short running series usually will mean a lower scale obsession with a shorter duration. 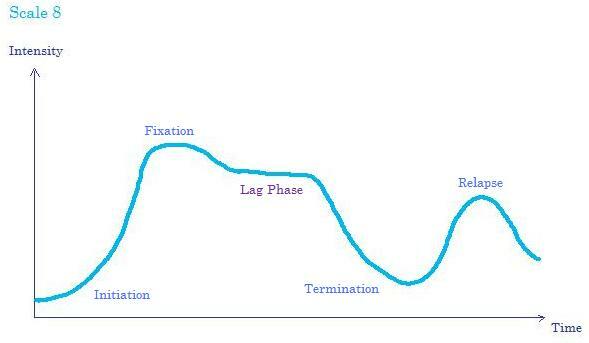 With regards to ending the obsession, the main reason is usually due to a lack of fresh material. This occurs when you have finished watching the series and have gathered all the official art you can find off the Internet. With no fuel left to keep the obsession burning, it will eventually die off to be replaced by a new one. If a sequel of the series is released, you may experience relapses of past obsessions. You have to be able to maintain a good grip of the real world and the fantasy world that may be created as a result of an obsession. 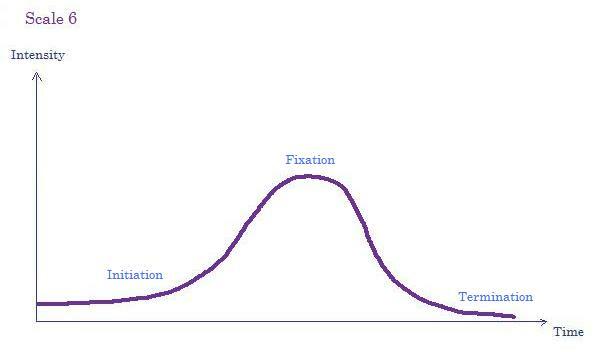 Successive fixations with fictional characters can also push your standards and expectations to impossible levels. If at any point you become confused about reality versus illusion, please refer to the film ‘Inception’.